The Great Recession cost Montana thousands of jobs. Montana has experienced recessions in the past, but this time job losses have been more severe and continued longer than in previous recessions. Montana can respond to the recession-induced economic challenges in ways that protect families and prepare us for a more prosperous future. 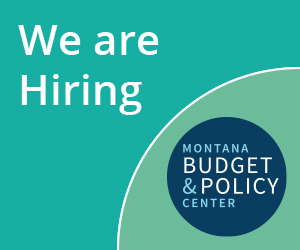 In order to protect Montana’s job numbers from slipping further, state policymakers can protect the economy by taking a balanced approach to the budget that includes revenue increases to meet today’s needs and start planning for our future. Balancing the budget through cuts alone will lead to unnecessary lay-offs and a further drag on an economy struggling to recover.